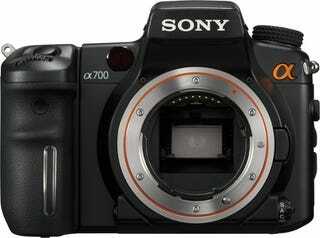 Sony DSLR Camera Image Sensor Better Than Canon's? DxO Labs does something quite tricky: Quantifies the quality of an image sensor's performance, so you can look at a neat number grade for a quick gauge. Surprisingly, a Sony DSLR bests equivalent Canon models. In their test—which uses the camera's raw output as the basis for measuring sensor performance, evaluating color, dynamic range and low-light shooting—Sony's $1100 A700 outscored Canon's 40D and 50D by a few points, with a 66.3, falling just behind Nikon's D300 and the Pentax K10D. Interestingly, the top scoring sensor of that size is in the Nikon D90, which has a whopping 72.6, 10 points ahead of the Canon 50D's 62.9.